On Sale Now! 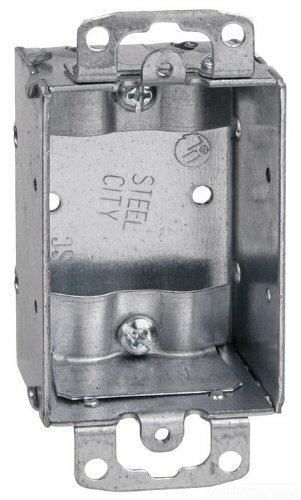 Save 2% on the Thomas & Betts SWB-25 3-Inch Length by 2-Inch Width by 1-1/2-Inch Depth Galvanized 1 Gang Old Work Welded Construction Non-Gangable Switch Box, 25-Pack by Thomas & Betts at N Online Agency. MPN: SWB-25. Hurry! Limited time offer. Offer valid only while supplies last.